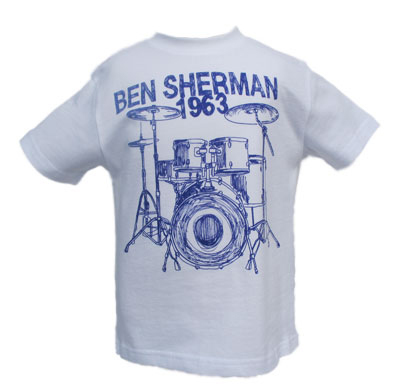 Like all other Ben Sherman's, this T harkens back to the good old 60s. Classic drum kit on the front with "Ben Sherman 1963" across the chest. 100% cotton with indigo line art. Left handed drum kit for ultimate cool factor. Last one.